One of the perks of a food truck is mobility. It can squeeze into tight places where you would otherwise never be able to build a restaurant. But, that mobility can also lead to some frustration when you can’t find your favorite taco or Cuban sandwich. 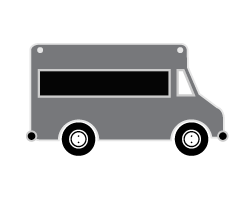 Just as each truck has its own personality and menu, there’s no one-size-fits-all way of communicating business hours and locations. Luckily for you, we’ve done the research and put together an all-in-one list with the best way to look up all 25 trucks’ current information, plus a map of where to find our stationary favorites. You’ll be dining in the sunshine in no time! Bookmark this page to quickly revisit when hunger strikes again. 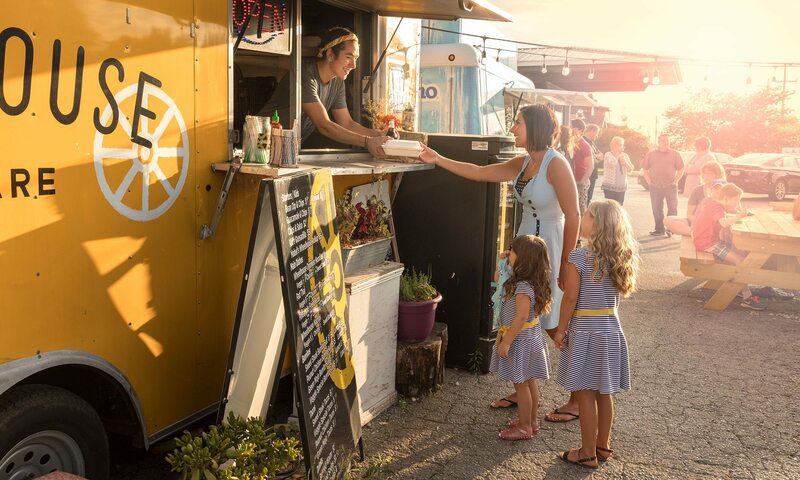 In the past few years, 417-land’s food truck scene has slowly and quietly become a powerhouse for creative cuisine—cooked in close quarters and served al fresco. 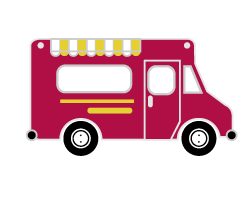 They’re a testament to the idea that good things come in small packages, as these unassuming little trucks, carts and trailers churn out inventive fusion, clever comfort food and delightful sweets. 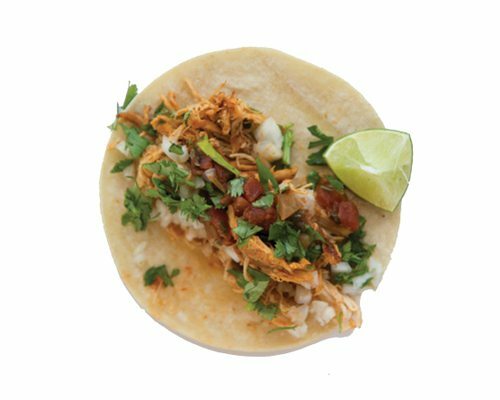 Our food trucks are a casual way to marry community and food, and we rounded up 25 of our favorites for you. The team of award-winning Branson barbecue joint Gettin' Basted has created a secret sauce for success. 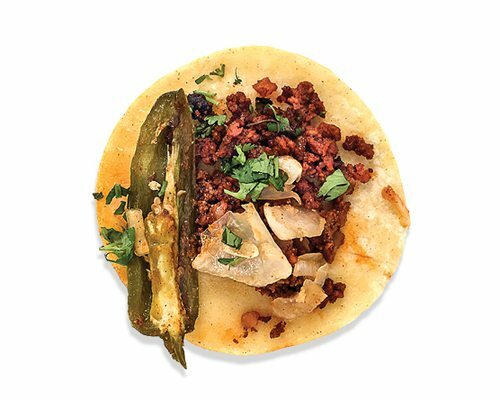 Vegetarians, beware: Gettin’ Basted could be the end of your meatless journey. That might sound like an exaggeration, but co-owner Tammy Roberts can name a handful of customers who have fallen off the wagon. And trust us, the award-winning barbecue is that good. “It was really something that Jason and I wanted to do,” Roberts says, referring to her and her husband’s idea to open a food truck. “We had this grand concept that we would get tied into the bigger events that are around the country and be mobile and see the country.” Originally planning to open a hot dog truck, they convinced Derrick Melugin to join them and then reached out to Brad and Sarah Leighninger, who had been on the barbecue circuit since 2012, for recommendations on a smoker. Soon enough, it was a five-person collaboration, and the concept morphed into barbecue. By September 2016, Gettin’ Basted was up and running. Trailer Perk Coffee brings caffeine-infused innovations to the Midwest. Since 1974, Pineapple Whip in Springfield has served dairy-free desserts. Cup or cone, you can’t go wrong with the classic pineapple flavor. Snow cone meets classic Mexican fruit drink in the Mangonada at Honey’s Ice (search for “Honey’s Ice” on Facebook). Shaved ice, fresh mango, Chamoy sauce, mango and lime snow cone syrups and TAJÍN seasoning collide in this sweet and spicy dessert. Take Dole Whip up a notch with toppings such as coconut or Sour Patch Kids at Joplin’s Pineapple Bliss. 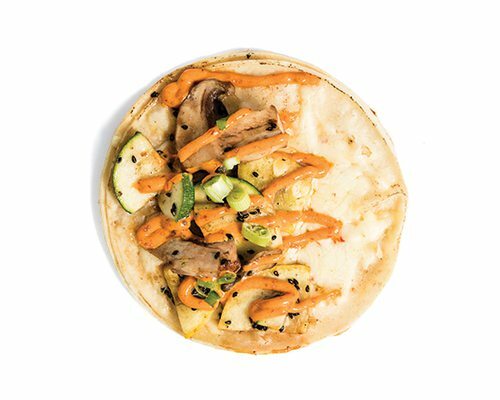 The truck features pineapple and a second, rotating flavor. Cool off with a snow cone from Branson’s Shaved Ice Co., which boasts 32-plus syrup flavors including sugar-free options. Try a Frankenstein with green apple and grape or The Sandlot, a mix of root beer and vanilla. Trying a Cumulobluebus from the Persimmon Hill Thunder Wagon is a must. A giant, warm blueberry Thunder Muffin is split in half then topped with locally made ice cream, whipped cream, blueberries and a blueberry syrup drizzle. 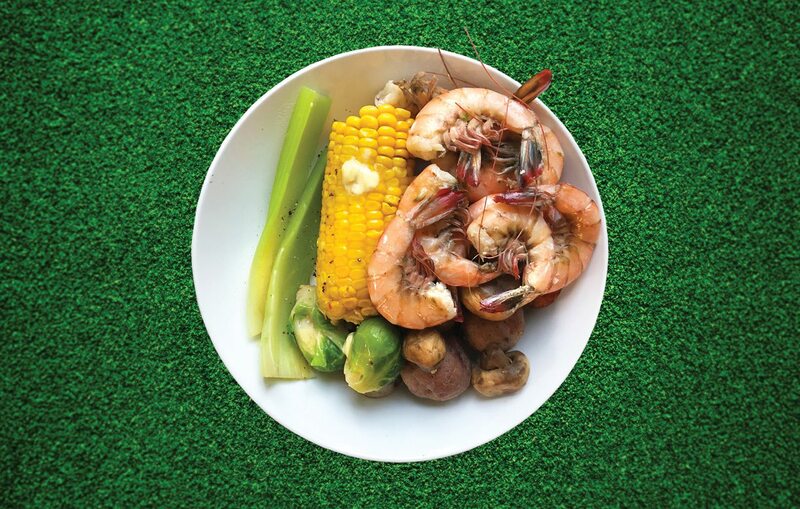 With simmering heat, Shrimp & Bayou Classics brings the bounty of a Louisiana shrimp shack to southwest, Missouri. What, is worth driving 500-plus miles for? For Chris Crow, owner of Shrimp and Bayou Classics, it’s shrimp. Crow attended LSU, where he fell in love with the culture and cuisine of Louisiana. “I majored in crawfish and beer and did real, real well,” Crow says with a laugh. Six and a half years ago, he opened the unassuming trailer-restaurant–shrimp shack hybrid parked on West Republic Road. The food draws lines and loyal customers. “A customer kept coming back, so I asked him, ‘When are you gonna come work for me?’ and he said, ‘I’ve been waiting for you to ask that,’” Crow says. That customer was Aaron “A.D.” Davis, and, together, the two serve Cajun, Creole and bayou favorites like gumbo, étouffée, boudin, crawfish and, of course, shrimp. 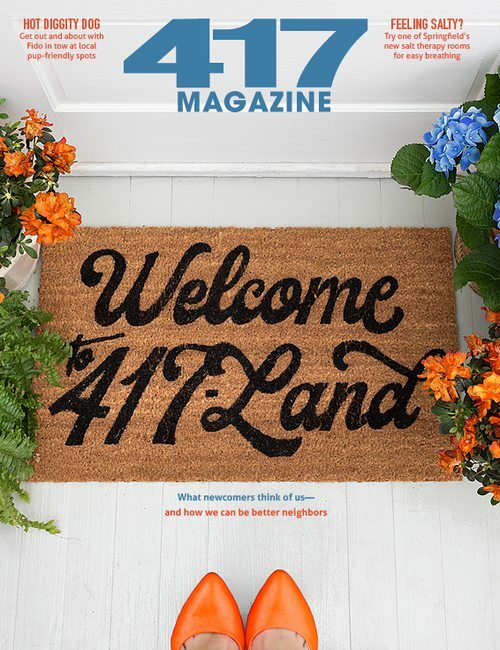 With London Calling, Neil Gomme and Carrie Mitchell are broadening perception of British food beyond fish and chips, introducing 417-land to hearty pasties, a traditional Cornish dish filled with almost anything you can think of. Neil Gomme loves America. He grew up watching American television in his native Britain and had long dreamt of living elsewhere. 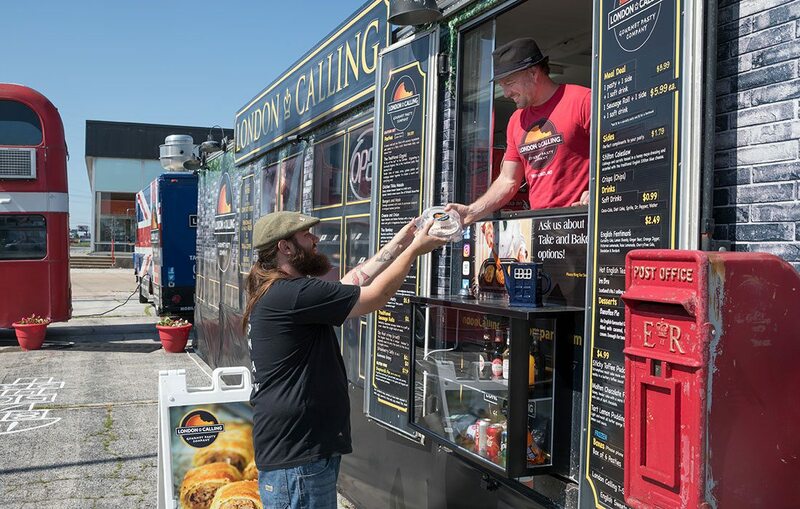 In 2013, he moved his wife and three kids to Springfield to start London Calling, the food truck he co-owns with his sister-in-law Carrie Mitchell. Upon his arrival, he bought a cowboy hat, boots and a John Deere shirt. “I’ve got them all at home, and no one will let me wear it because they just want me to be the Brit,” Gomme says. Instead, he wears a distinctively European hat. He’s become so tethered to it that others don’t recognize him without it. It’s all part of the atmosphere he and Mitchell have created, serving English pasties (pronounced past-y) to the 417-land masses. Gomme used to holiday in Cornwall, where the pasty gets its origins; this was his introduction to the dish. Think of the pasty as a sort of half-Frisbee–shaped calzone-esque meat pie with a short crust. There are myriad combinations and fillings to choose from. London Calling has spread across Springfield—you might have seen its red tour bus parked on North Glenstone. There’s an outpost at the Battlefield Mall food court and you can get London Calling frozen pasties at the Price Cutter on South National. 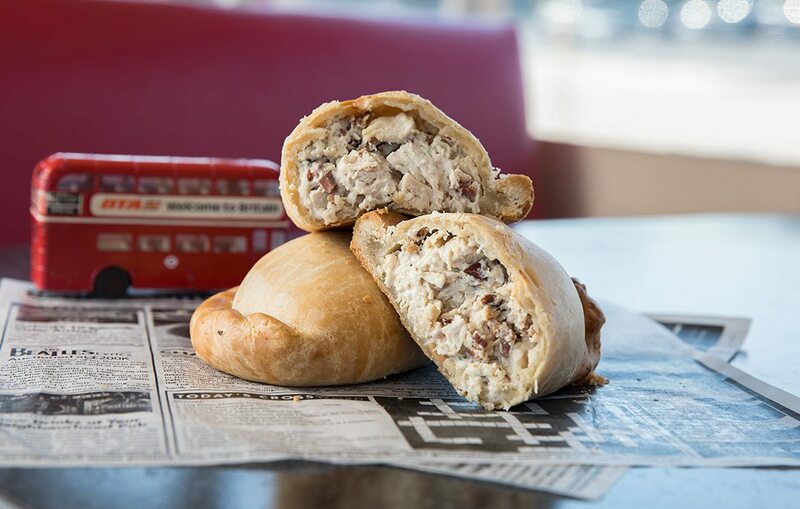 A pasty filled with chicken, bacon and Boursin cheese. 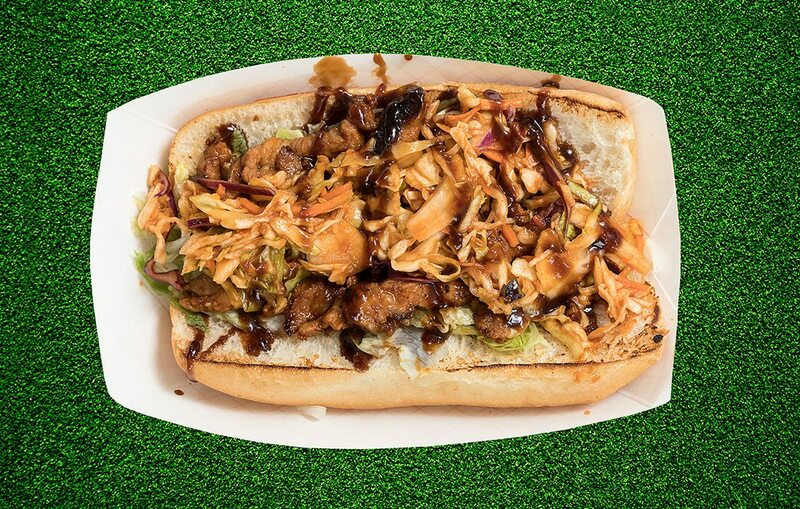 THE MEAT | The chicken and bacon blend seamlessly together, creating a delicious, meaty mixture. CHEESE | The Boursin cheese acts almost like a sauce, adding extra flavor and a creamy texture to the meats. THE CRUST | There’s no yeast in the crust of a pasty, best described as a firm short crust holding everything together. Get your French fix right across the street from the beautiful 21c Museum Hotel. A little art on the walls, and a little artistic crepe-making, all in one visit. Of the dozens of sweet and savory options, we recommend the La Centrale with spinach, cheddar, Dijon and tomatoes. First of all, this truck specializes in buttermilk biscuits. Second, the bright green truck is old-school darling. 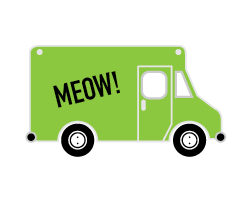 And third, its logo is a bored-looking cat. It’s like comfort, nostalgia and sass in one tasty love triangle. Biscuits are topped with creative culinary treats, like hot chicken made with Korean gochujang, bison sausage or even a whole bunch of veggies. Right by Crepes Paulette, Prìàto Pizzeria is slinging Neapolitan pizzas to visitors who want to dine al freso. Inside the truck are stone-deck ovens that cook the crust at 850 degrees. The menu offers tons of toppings. You can get buffalo mozzarella on the classic Margherita. And sweet-salty fans will love the pistachio prosciutto pizza with hot honey and feta cheese. Everything about the menu here is a little bit extra. There are over-the-top burgers (like the Morning Glory with two burger patties, bacon, egg, goat cheese, pepper jelly, silver dollar pancake and Captain Crunch cereal) and other luscious goodies like bacon chips, loaded fries, flatbreads and fudge brownie waffles. 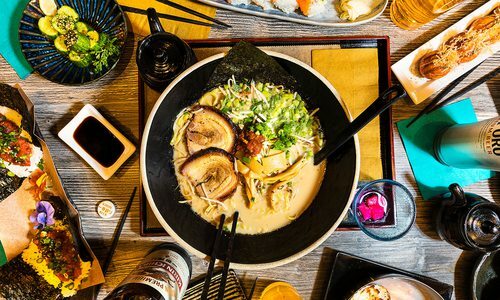 It’s all about the dumplings here, but you can find lots of other dishes inspired by street food from Asian cities. 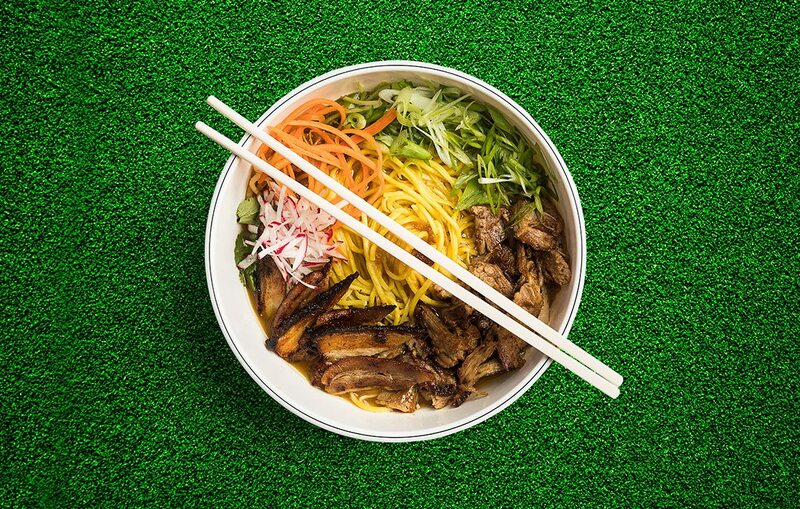 There’s Korean galbi (aka beef short ribs), dan dan noodles, galbi-filled steamed buns, and fried banana spring rolls. Umbrella-shaded picnic tables provide a comfy spot to enjoy your meal in the fresh air. 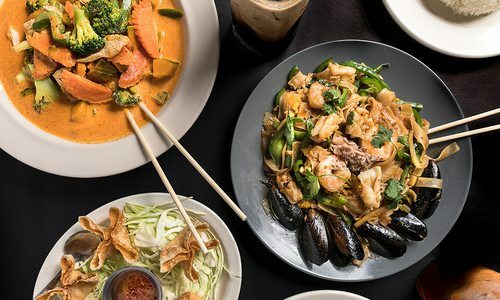 Making appearances at breweries around 417-land, two-person operation Skully’s Food Truck churns out handmade Asian-inspired dishes packed with flavor. 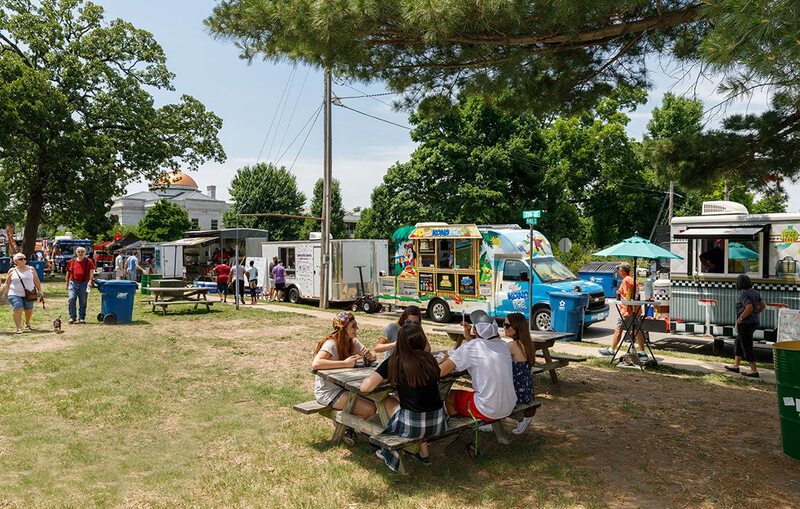 In three short years, Central Park in Carthage has established itself as a food truck destination with Food Truck Fridays. The food scene in Carthage, as Caleb Stiles will tell you, is not exactly bustling. 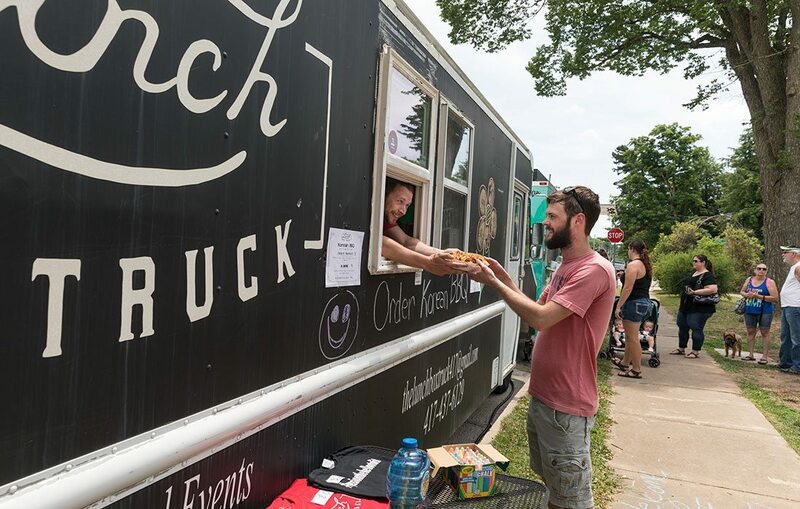 “Carthage lacks in food, like, a lot,” says Caleb Stiles, owner of The Lunchbox Truck in Carthage. 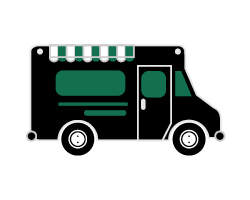 “We’ve got fast food, and we had a few independent [restaurants]—we still have a few independents that do a really good job, but we just needed more variety.” With this in mind, Stiles put together a ragtag event called Food Truck Fridays. 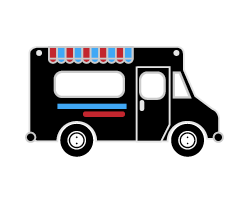 The first rendition included two food trucks including Stiles’ and two sno-cone trucks. The event drew 3,000 people. Now, three years later, it can draw twice that. 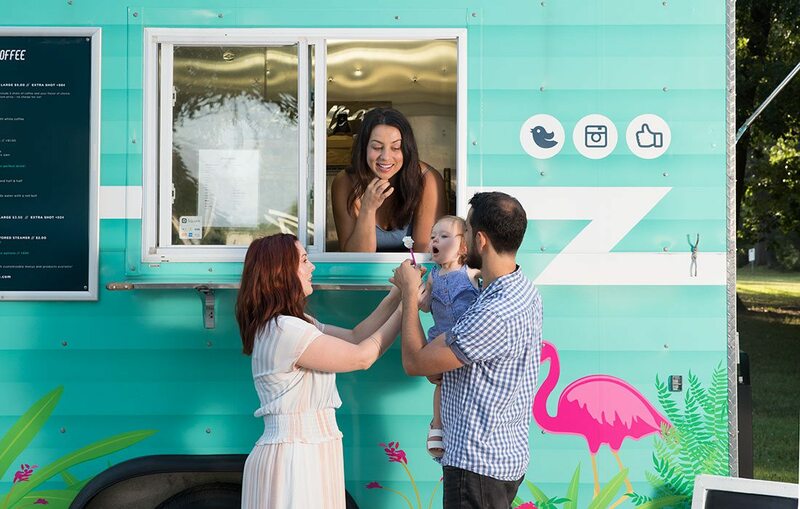 Running April to September on the second Friday of every month, Food Truck Fridays has grown into an event where people want to see and be seen. 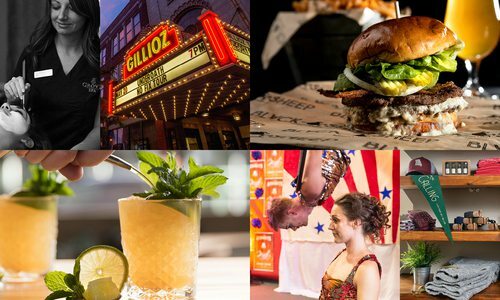 Twenty to 25 trucks show up month to month, providing patrons with a ton of variety. 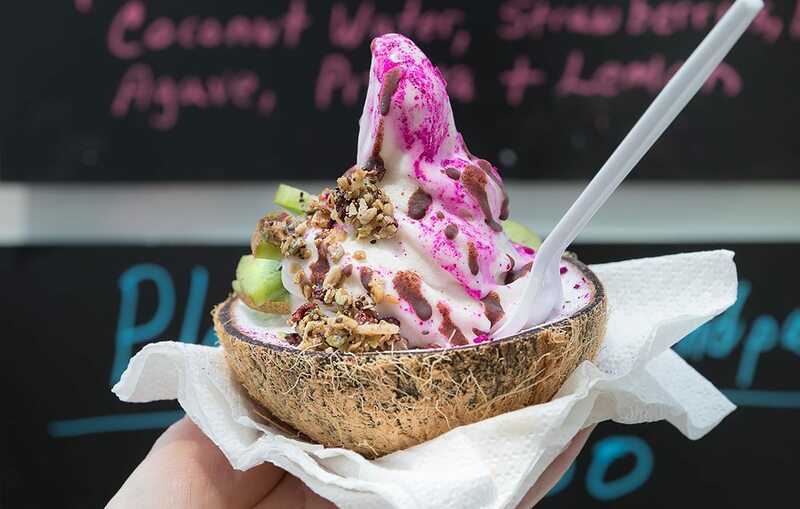 On a recent muggy July day at Central Park, we sampled five trucks, serving foods as diverse as pastries, fresh-squeezed lemonade and grilled cheese, among other wilder concoctions. Stiles’ Korean barbecue offerings were especially tasty. WHEN: Food Truck Fridays are the second Friday of every month, April to September. 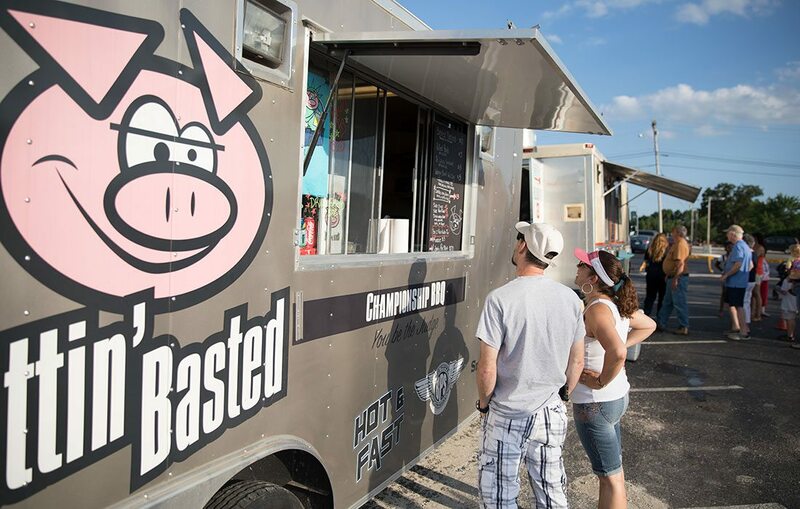 Visit foodtruckfridaycarthage.com for the lineup and more information. KNOW BEFORE YOU GO: Stiles suggests coming with a group to try as much as possible. From 5 to 9 p.m., there’s a beer garden, too, with Indian Springs Brewing Company serving its brews. 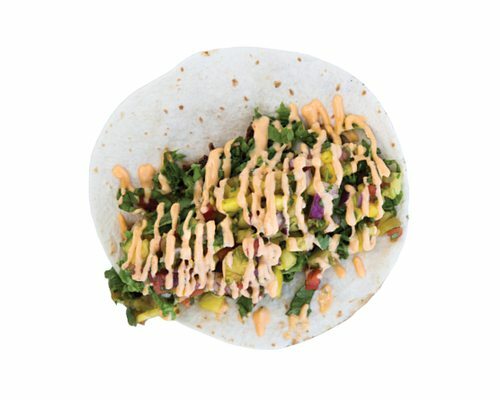 Bold Thai flavors meet a Mexican food staple in the Peanut Chicken Burrito from The Wheelhouse. 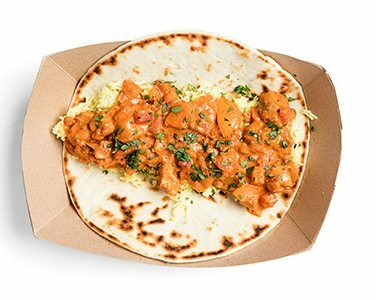 Get your fix of Indian food with the Chicken Tikka Masala Naan Taco, made with nearly 15 spices, from Holy Cow. 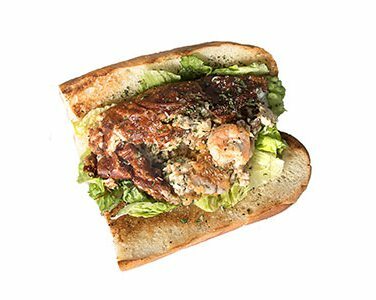 Garlic sautéed chicken and shrimp pair perfectly with gooey Parmesan cream and mozzarella cheese in the Hen Fin from BillyNeck Food Station. 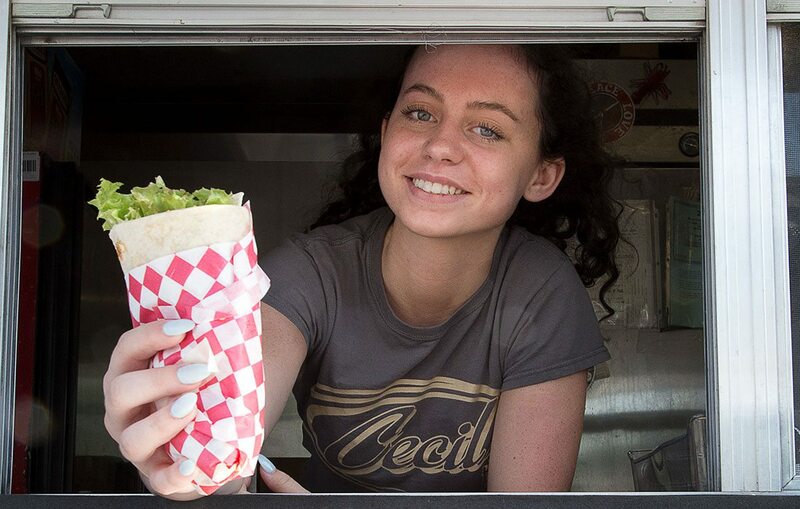 Trey and Teri Manning’s Cecil’s To Go food truck has made an indelible mark on the community, establishing itself as a tasty mainstay at events across 417-land. Photos by Vivian WheelerCecil’s To Go is a family business. Daughter Tyler Manning works the window. 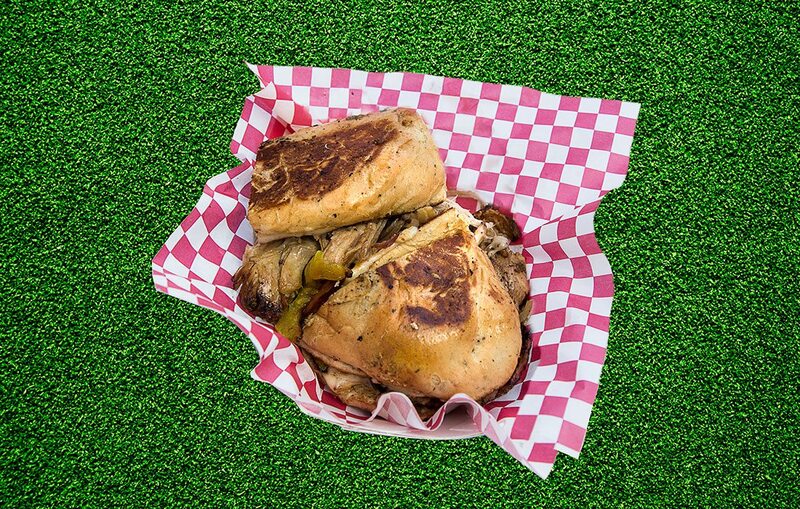 Photos by Vivian WheelerThe Cubano sandwich is a crowd-pleaser. Teri Manning knew just about everyone who stopped by Cecil’s To Go on a summer night at Tie & Timber Beer Co. The truck, which she co-owns with her husband, Trey, has a familial feel, probably because every member of the Manning family has worked there. The Mannings have lived in the same Rountree neighborhood since 2001, and Teri, a self-professed Chatty Cathy, has the type of genial personality you need when a good portion of your job is interacting with others. Trey, the truck’s chef, was a professional brewer for 15 years with Sierra Nevada before deciding on a career change in 2013. 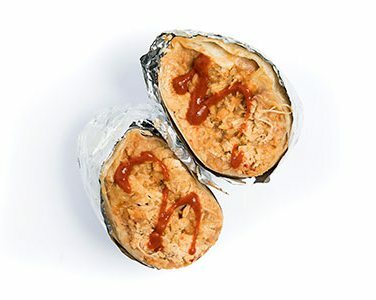 Cecil’s To Go was born, serving tacos, Cuban sandwiches, falafel and other tasty dishes. Trey takes pride in his craft. “You’re going to have to wait for my food,” he says. 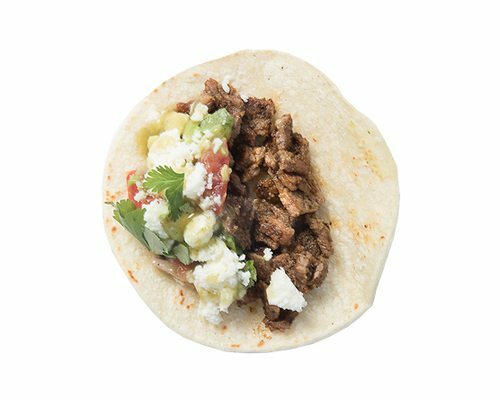 His dedication emerges in the form of delicious food, like the tequila lime and Korean beef tacos, cooked fresh to order and served on handmade tortillas. 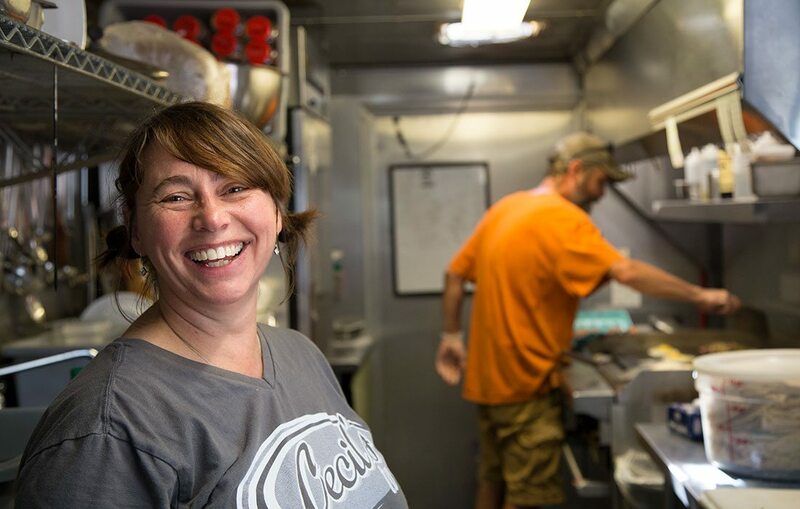 That’s something the family prides itself on—Cecil’s makes just about every component of its dishes in the truck. Even the guacamole and salsa that come on the side are made in-house. Despite the heat, Trey cooks Cuban sandwiches for customers at Tie & Timber. It’s a heavy meal for summer, but it stays on the menu because it’s a best-seller. Cecil’s sticks to a pretty set schedule. Wherever there are hungry people, the truck is there. The Mannings set up shop at Mother’s on Fridays and the Farmer’s Market of the Ozarks on Saturdays. Order With: deep-fried bread pudding bites. Need we say more?